Floral Keepsakes by Lauri has been working with floral arrangements for many years. 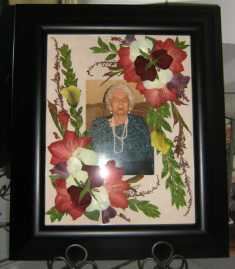 We will work with you to make sure your floral keepsake is something you will cherish forever. We use a freeze drying machine and we also press flowers. After which most flowers are color enhanced and sprayed with a special sealant to ensure the best possible protection against the elements. With any one of these methods you will receive your keepsake back within 8-20 weeks( some may take longer). We offer many types of frames, table top domes, keepsake boxes, ornaments, shadow boxes and more to suit any taste or style. We will work with you to choose the best enclosure for your keepsake. The acrylic domes we use can be made to be as low profile as possible or deeper if you prefer more volume to your bouquet. Both depths have UV protection to help protect your keepsake from fading.